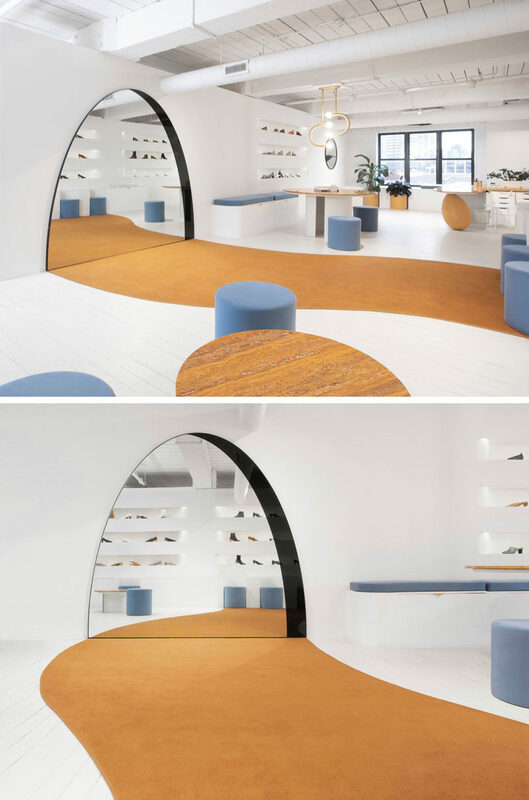 New York City based Bower Studios have completed the design of the Brooklyn showroom for shoe brand Gray Matters. As part of the design of the showroom, the white benches around the edges of the interior have curved sections cut out to house the soft, dusty blue seats. 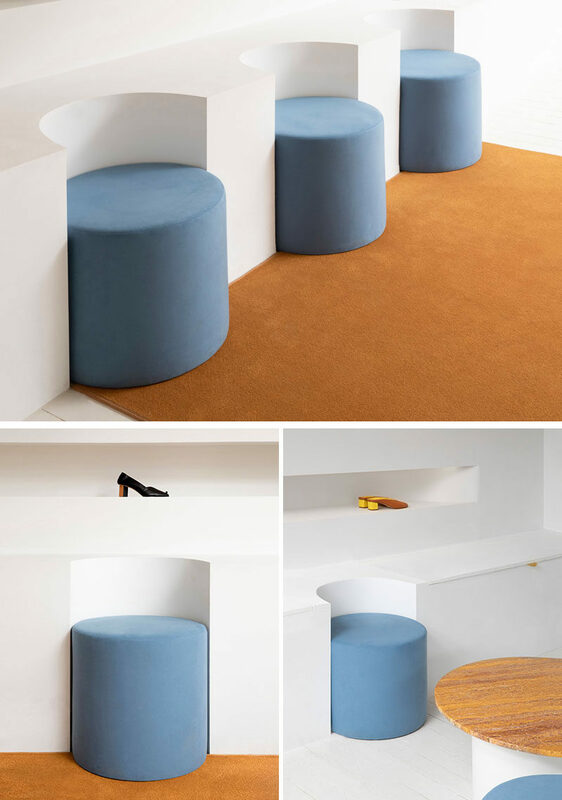 The seats seamlessly fit in with the white benches, which also offer additional room for storage, while above, the soft, curved lines of the shelving tuck into the wall to create a visual pattern of smoothed rectangles. Another notable design feature of the showroom is the Archway Mirror, which when used in conjunction with the organically-shaped runway carpet, gives the dramatic illusion of an opening into an expansive, adjacent showroom space.